Investors and others who expect to use FHA financing in connection with a short sale better check out the latest guidance issued by HUD last week. 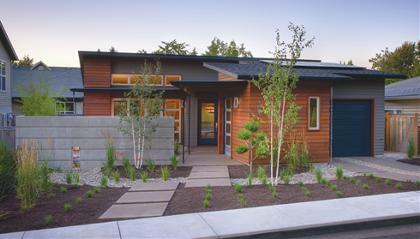 Award-winning green homes this year are not just ugly boxes devoid of panache. Many could win prizes for design as well as energy efficiency and water conservation. But don’t take my word for it. You be the judge. Thanks to one of my Facebook friends, CoolMom Laura Elfline (see video post on this blog from October regarding the Eat Local Now initiative and fundraiser), you’re invited to a Green Cleaning Demonstration event at one of the newer facilities in High Point, active retirement village Bridge Park. (I want to live there, it’s so nice). $5 donation to cover material costs appreciated. Great door prizes. Easy parking and acess from bus routes. Space is limited so please RSVP for you and your friends via the Evite page or at 206-938-6394. Hosted by West Seattle CoolMom and Bridge Park Independent Retirement Living. Sponsored by Amercian Lung Association Master Home Environmentalist program, PCC, and Perfect Touch Cleaning Services. Holiday wishes to one and all! Merry Christmas to everyone – thank you for being a part of my life and business this past year. My husband Steve and I enjoy the company of all we cross paths with. Best wishes for a wonderful day! I have to thank the hummingbirds – last year we posted hummingbirds in the snow and ice photos and blog posts and because of it I was contacted by a couple on the Oregon coast who needed help selling their home – that was on the hummingbird migratory route from Mexico to the Northwest. I am not licensed to sell real estate in Oregon (only Washington), but I put together a team of professional agents Joanna Flippin and Joni Biron with regional leader Emerald Coast Realty. And these ladies got the job done. The sale of the home closed last week and I received a paycheck for 33 months of blogging by way of a referral fee. I intend my blog as a resource and educational tool but I do want people to know I am in the real estate business and am looking for new clients. I am a cutting-edge marketing agent in addition to an experienced professional who looks out for my clients interests by watching for weird little things that might pop up and cause a snag. Special thanks to Jorrie and Ken, Joanna and Jori ( my ‘J’ team), and of course the hummingbirds, for making this post possible. And here is a new entry in the hummingbird category – now that I am vlogging you can expect to see hummers in flight – I will set up the video camera outside on a tripod and just leave it running and put together some interesting footage! Good article and lots of links to reviews and scientific information. This is a Must-See Movie. Here is today’s post from my husband Stephen’s blog – since he already wrote it up I just asked if I could steal it and he said sure! I will add the Stephen Hochhalter has been my personal and referred mortgage lender since 2006 and it was fun to spend time with his wife Tina and their two kids, who had never been on a boat like this before. Thank you Laurie for a grand evening! (Steve helped decorate the boat for the holidays which is how we earned a trip out to follow the Christmas Ships). Last night Wendy and I were fortunate enough to be able to take a tour of Lake Washington on The Way Home, a 42 foot cabin cruiser that belongs to Laurie Way. Wendy met Laurie at RE Bar Camp earlier this year, and after the Bar Camp Laurie took us for a short cruise around Lake Union. I offered to help decorate her ship for the holidays, and that’s how we ended up there last night. We brought along the Hochalter family, and Misha St. Lorant, and were also joined by a couple that had just purchased a home here in Seattle through Laurie, as well as Laurie’s friend & First Mate Cary. It was a fun cruise, the weather ended up perfect. Not too cold, and clear. Not windy. We headed through the Mountlake Cut along with a couple of other decorated boats, and then headed south to Leschi under the SR-520 bridge. There we met up with a larger group of Christmas Ships as well as the main Argosy Cruises Christmas Ship that has the carolers on board. Last night’s group was The Dickens Carolers. The King County housing slump made six geographic areas affordable for those earning the county’s median household income of $68,821 in 2008. When the market was sizzling in 2007, only Auburn was considered affordable, a Seattle Times analysis showed. Just trust me on this. Watch all of them. It is uncanny how he gets cats spot on. And how unoriginal our own cats apparently turn out to be.